Asap towing 4 less makes your road life tension free, because you know whenever you are stranded on the road due to any reason, we are always on the road with our tow trucks to help you get going with your journey. We are the fastest towing company in Calgary. Our arrival time at the towing spot is very short. We never make you wait for us. After arriving at the given place we take the matter into our own hands. After analyzing the situation we take the required action. If the problem can be fixed at the spot. 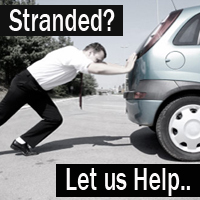 But if it needs towing then we tow the vehicle with full care and take it to our repairing workshop. At the workshop our technicians and mechanics do the repairing work and afterwards we drop the vehicle at your desired place. Thats the simple procedure we adopt we deliver our towing services and it keeps you out of husle and bustle of all this stuff.